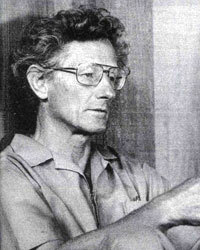 John C. Lilly was a physician, biophysicist, neuroscientist, and inventor who specialized in the study of consciousness. He grew up in Minnesota and then attended CalTech, where he graduated in 1938. He studied at Dartmouth medical school and earned his M.D. from the University of Pennsylvania School of Medicine in 1942. He then studied biophysics and psychoanalysis and taught at the University of Pennsylvania from 1942 to 1956. In the mid 1950s he worked on Cortical Integration as part of the National Institute of Mental Health. In 1954 he invented the isolation tank and experimented with sensory deprivation. In 1959, Lilly founded the Communications Research Institute at St. Thomas in the Virgin Islands and served as its director until 1968. There he worked with dolphins exploring dolphin intelligence and human-dolphin communication. It was during this period that he was introduced to LSD and other psychoactives. He began using LSD and ketamine in combination with the tanks as a method of consciousness and metaprogramming exploration. Two movies have been inspired by Lilly's life: Day of the Dolphin (1973), in which the military attempts to use dolphins as a weapon, and Altered States (1980), in which scientists explore reality through the combination of isolation tanks and psychoactive chemicals. John Lilly lived in Hawaii for the last years of his life and was known for his eccentricity and heavy ketamine use and addiction. He died in 2001 at the age of 86. From Here to Alternity and Beyond - David Jay Brown, Feb 1991. 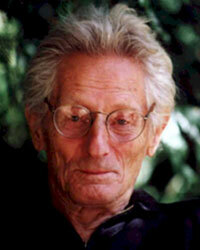 Fusion Anomaly - John C. Lilly M.D.